Following on from the successful Global Symposium last year, at which Tom Peters spoke, the Centre for Managment Consulting Excellence was keen to serve up an expert to do justice to the subject of reputational risk. To our delight, they were able to secure the services of Anthony Fitzsimmons, Chairman of Reputability, to be the speaker for the first CMCE Technical Symposium. Anthony was the co-author of the book "Rethinking Reputational Risk", published in early 2017. Prior to that, he was the co-author of the publication "Roads to Ruin", a study undertaken in conjunction with Cass Business School into the causes of reputational damage. Originally a lawyer by training, his consultancy firm, Reputability LLP, has helped a number of organisations to identify and manage their reputational risks. Anthony's talk was based on the research conducted for his recent book, in which he analysed a selection of recent reputational disasters. It didn't take long for him to lay down a challenge to traditional management thinking and action. 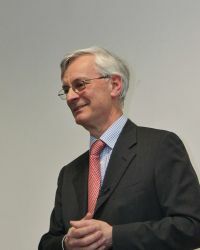 In his opening remarks, he said that the common root cause for reputational failure lay with top management, not with the less senior person that is often singled out to be a scapegoat.He questioned the robustness of governance in some firms, and their ability to deal with soft issues such as tone at the top. He also lay down challenges such as "the failure of modern risk management", and whether the three lines of defence model is appropriate. In his talk, summarised in this short paper, Anthony drew attention to valuable techniques and insights from his research, such as recognising the long incubation period that can exist before a reputational event occurs.